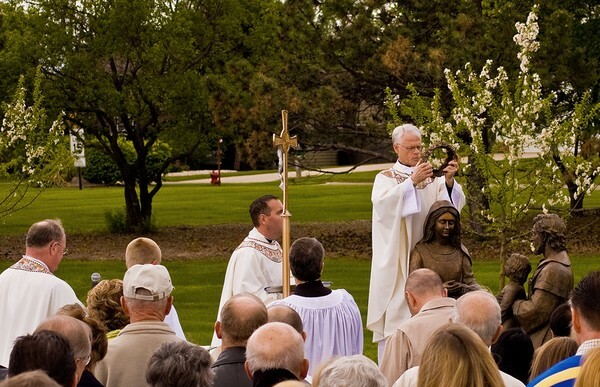 The Prayer Gardens at St. Dominic Catholic Church in Brookfield, Wisconsin has been growing in stages since September 2005, and is enjoyed in many different ways. 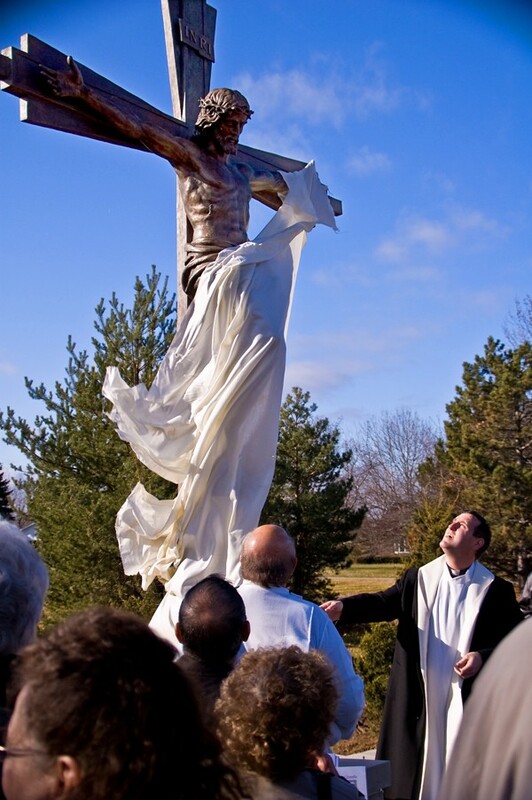 It provides comfort to those seeking a quiet place to reflect and remember, it is a wonderful venue for outdoor Masses and classes, it is a place for rejoicing with a newly married bride and groom as they pose for many happily-ever-after photos, and it is a gathering place for First Communion and baptismal pictures. 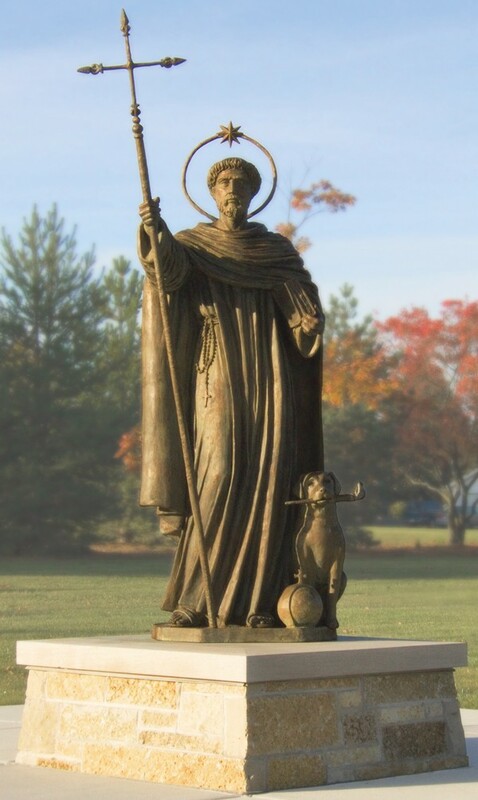 In the center of the gardens is the statue of St. Dominic, the parish Patron Saint. 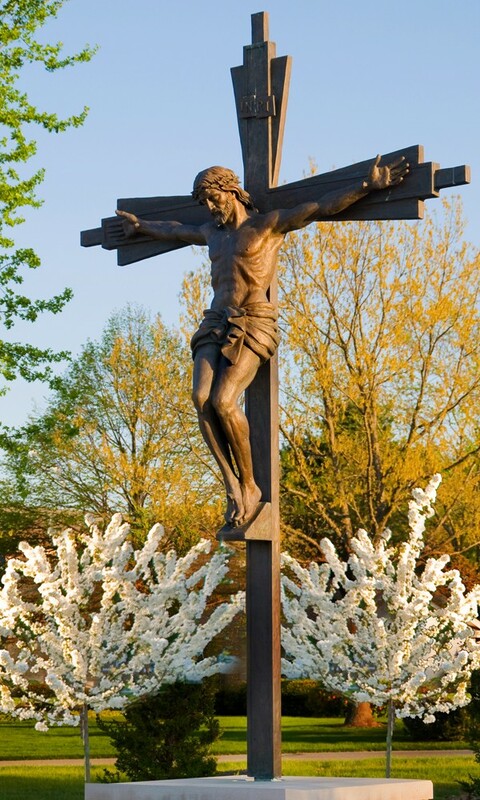 On the terrace, a life-sized bronze crucifix rises above and overlooks the gardens. 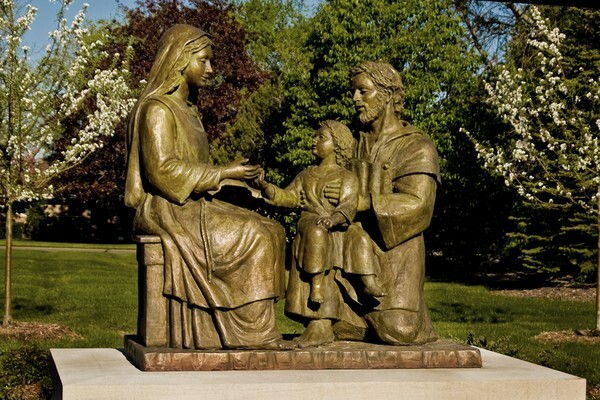 A Holy Family Shrine also graces the gardens. 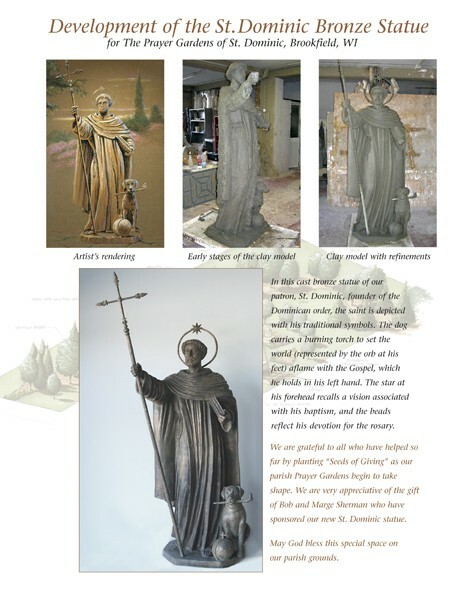 These statues are surrounded by seven flower gardens with different themes. 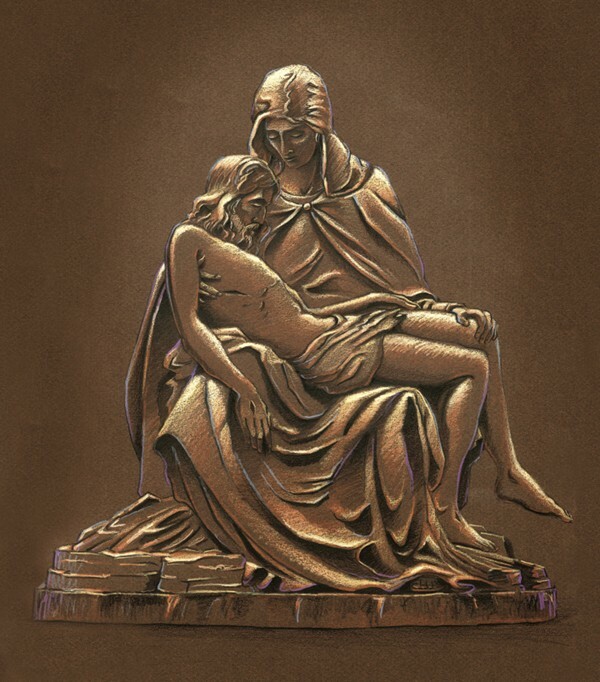 In the future, the parish will be adding bronze sculptures of the Pieta and Jesus Christ with the children. 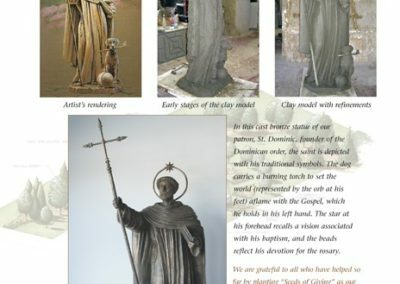 In this cast bronze statue of St. Dominic, founder of the Dominican order, the saint is depicted with his traditional symbols. 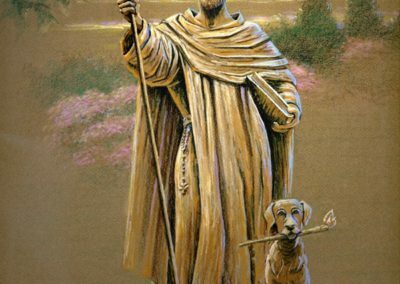 The dog carries a burning torch to set the world (represented by the orb at his feet) aflame with the Gospel, which he holds in his left hand. 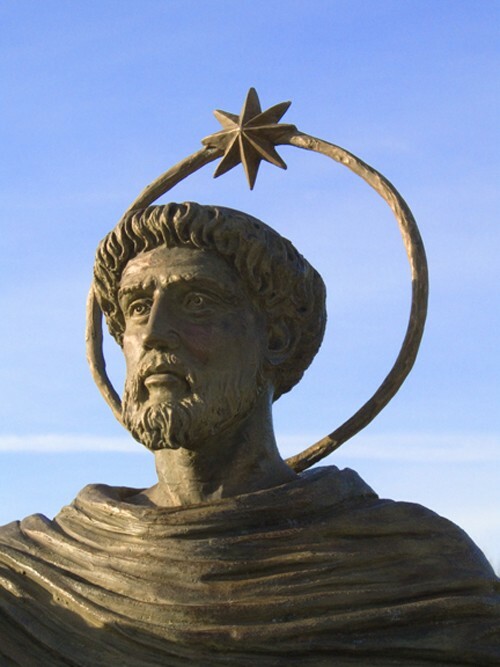 The star at his forehead recalls a vision associated with his baptism, and the beads reflect his devotion for the rosary. 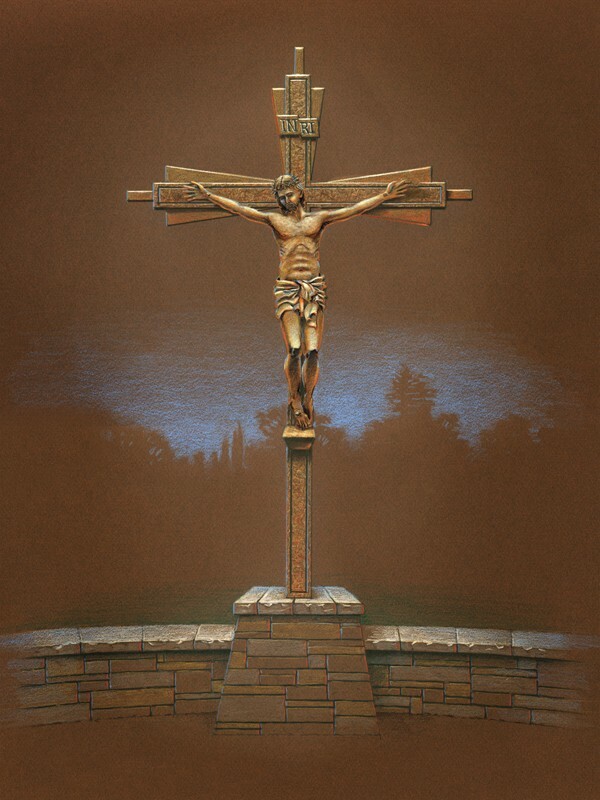 The development of the cast bronze Crucifix for the Prayer Gardens began with a sketch and was inspired by the geometric lines of the architecture of the church and bell tower. 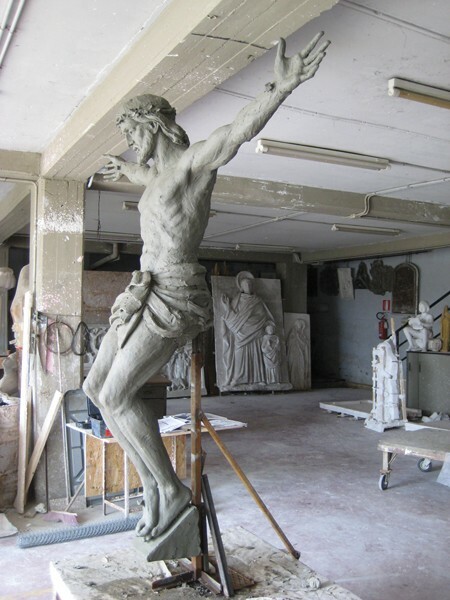 After the sketch was approved, the crucifix was modeled in clay. 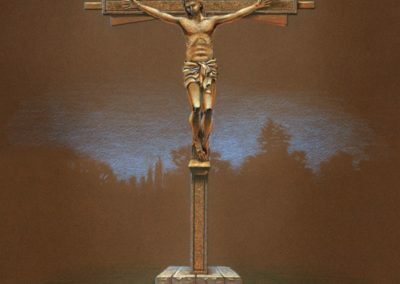 Several adjustments were made to evoke the desired depiction of Our Lord. 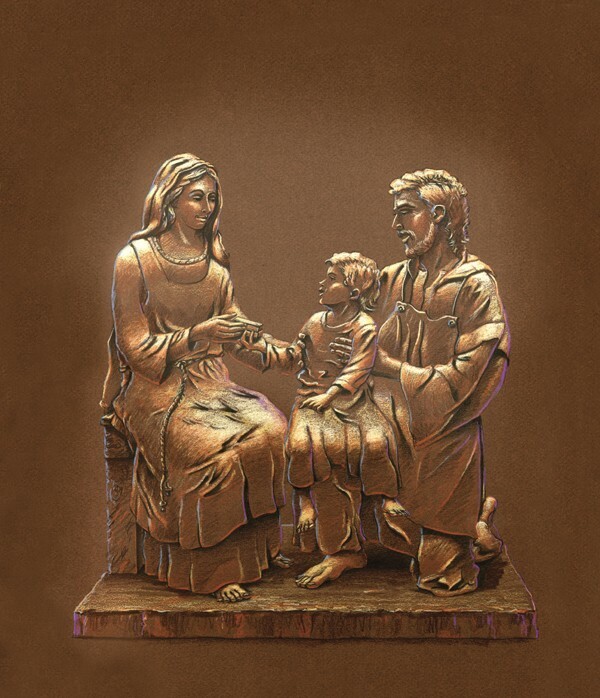 The approximately life-sized Holy Family statue touchingly portrays a young Jesus seated upon Joseph’s knee, looking at Mary. 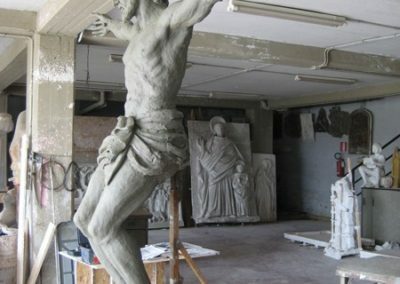 After the sketch was approved, the statue had humble beginnings as a wire frame, which was covered and modeled in clay. 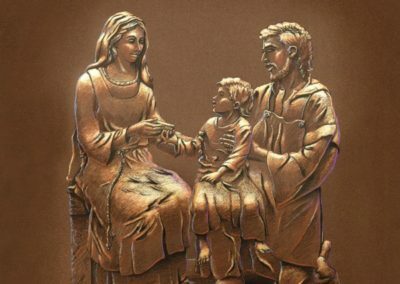 Several adjustments were made as the piece took shape, to evoke the desired depiction of Our Holy Family, the model for today’s contemporary family of faith. 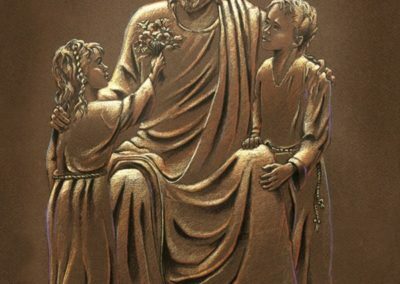 A special bronze crown of flowers with a contemporary patina color was specially made for Mary. 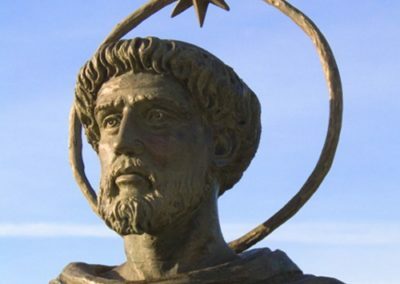 Each year, St. Dominic Catholic Church has a traditional crowning ceremony in which they place Mary’s crown on her head for the month of May. 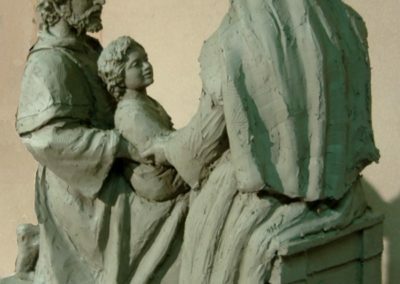 This Catholic tradition became particularly popular in the nineteenth and twentieth centuries, with a procession of school-age boys and girls dressed in their finery, following the statue in a procession. 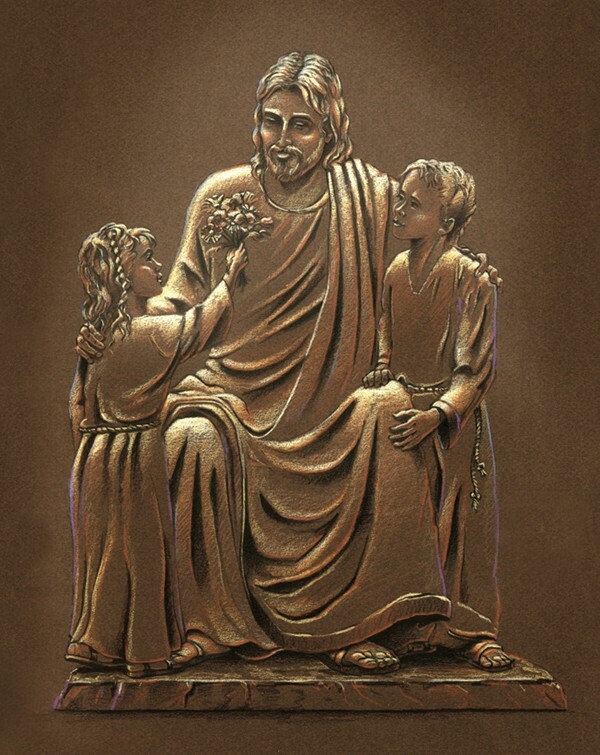 In this ceremony, the statue is decorated at its base with flowers and one of the girls would be chosen to crown Mary with flowers. 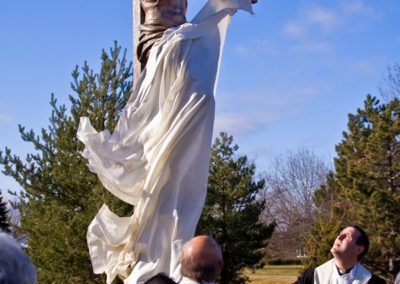 The nineteenth century hymn ‘Bring Flowers of the Rarest’ is a traditional accompaniment to this ceremony. 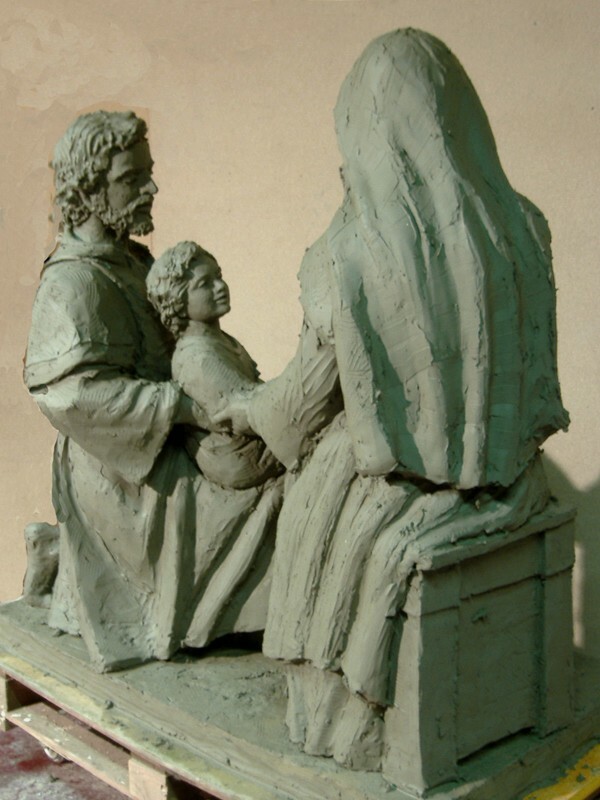 The Holy Family Shrine at St. Dominic was dedicated on May 18, 2008 by Archbishop Timothy Dolan. 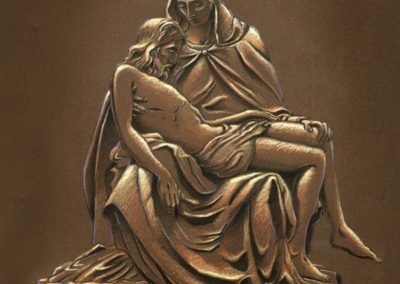 The two remaining shrines that will be added to the prayer gardens in the future are of Jesus and the Children and the Pieta; Mary with the crucified body of her son, Jesus. 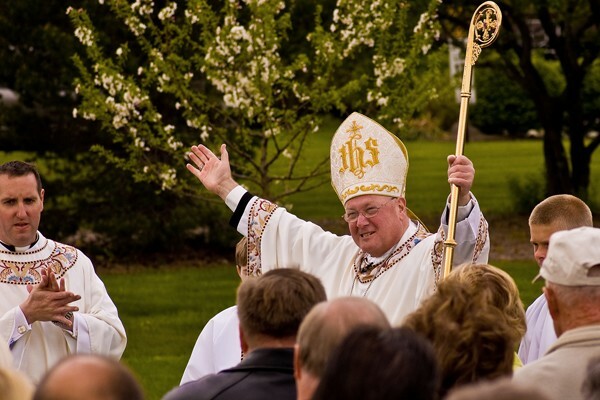 This garden has a variety of Hybrid Lilies, symbolizing St. Dominic’s notable chastity. 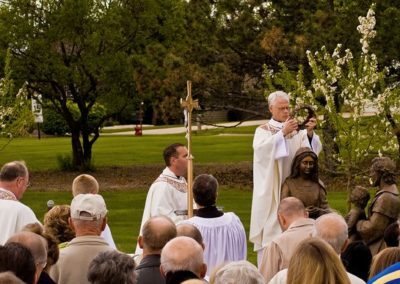 Using a variety of lilies that bloom sequentially throughout the growing season adds an ongoing, dramatic effect to the central focal point of the prayer gardens. Hardy daylilies, along with Asiatic Hybrid Lilies, are combined with other companion perennial plants that complement each other to extend the color and texture of this garden. This garden incorporates bright red Champlain Roses and Carnations, set off with bright yellow Yarrow, Coneflower and lemon scented Daylily. 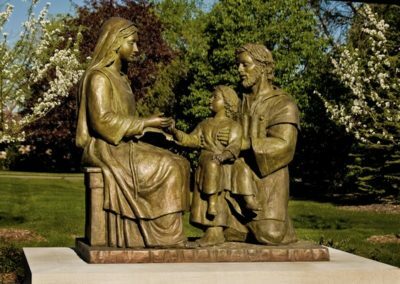 Large plumes of ornamental grasses flank the center statue of the Holy Family. This garden has a theme of a child’s garden that includes more of a fun, whimsical plant selection and attracts butterflies and hummingbirds. Using Purple and Yellow Coneflower, hardy shrub roses, Coralbells and Lilac adds a variety of seasonal color, and the butterflies create a lot of movement in this garden throughout the summer. Hardy Carefree Beauty Roses are blooming throughout this garden all summer long. These low maintenance types of roses are ever-blooming and add a unique dynamic to the area with the existing evergreen trees as a backdrop. Blue Baptisia, Little Wine Cup Daylily, Stairway to Heaven Iris and Guacamole Hosta are used throughout the garden. 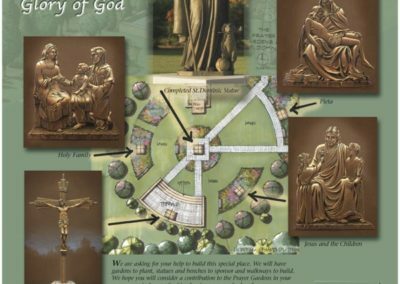 This is the first garden that greets you when you enter into the prayer gardens and is visible across from the church entrance. Many of the existing plantings in this garden have been retained and transplanted, along with the addition of Bellflower, Purple Coralbells, Purple Salvia and Variegated Silvergrass. 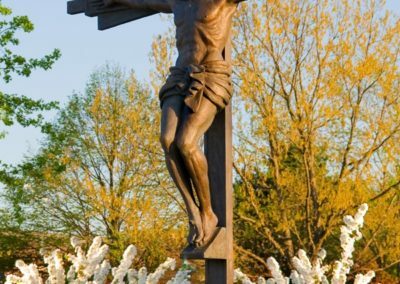 This garden uses early blooming plants that will bring early spring color to this garden, and primarily white flowering shrubs and perennials. 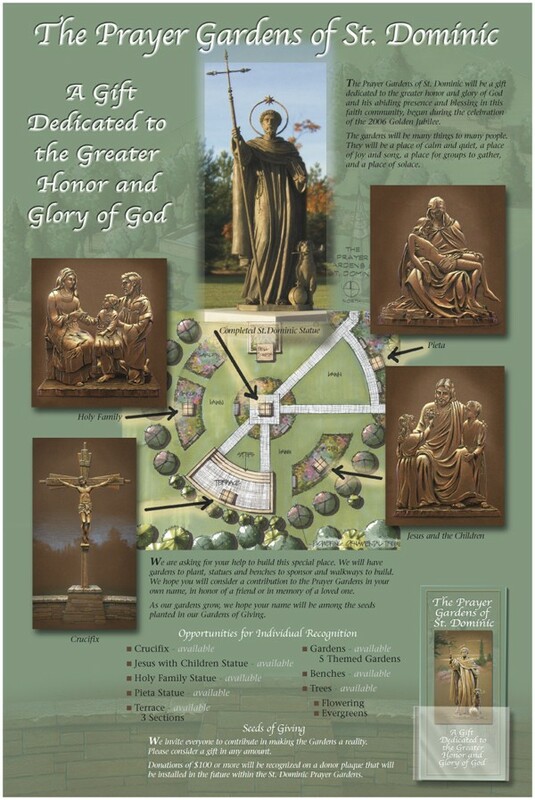 It also has a fire ring area made of stone paving. Mount Airy Fothergilla, White Peony, Gentle Shepherd Daylily, White Iris and White Bellflower brighten up this garden in the early spring. Other perennials have been added to extend the blooming throughout the rest of the season. 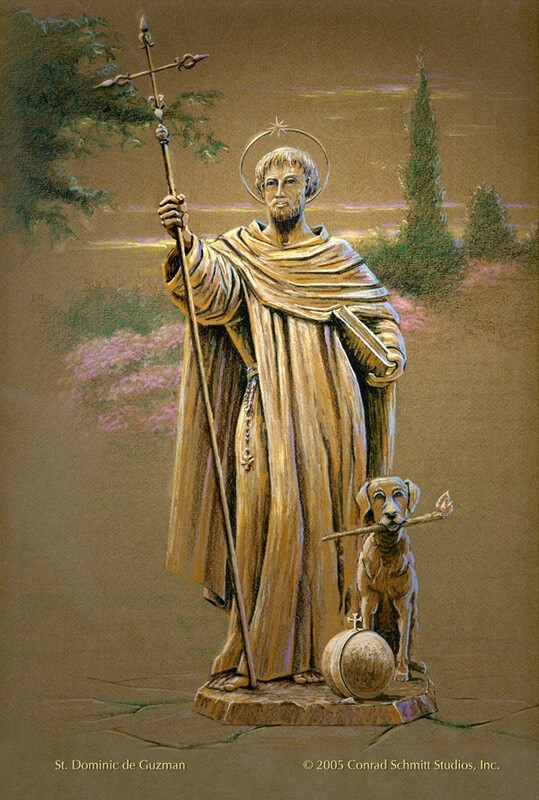 To celebrate the Golden Jubilee of St. Dominic Parish, this garden contains Blue Muffin Viburnum, Cranesbill (Geranium), Root Beer Daylily, Coralbells and Blue Oat Grass. Low growing evergreens add winter interest. 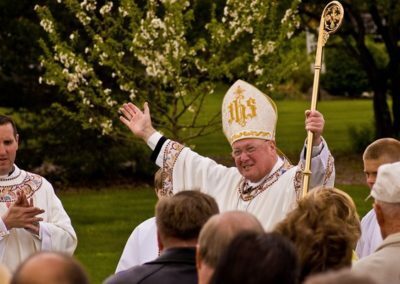 The gardens are maintained by the parish’s “Green Thumb Club” – a group of parishioners with a special interest in gardens.